The Pine Processionary Moth (Thaumetopoea pityocampa) is a very common moth in many parts of southern Europe (including Spain and Portugal), North Africa and central Asia. It has caterpillars that have some fascinating behavioural habits but which can also be serious pests. The caterpillars have hairs that cover their bodies that can cause irritation to humans and other mammals. These hairs come out of the caterpillars when they are stressed and cause inflammation of human skin if they come into contact with it. They should not be touched because of this. Some people will develop an allergy to them as well. Pine Processionary larvae cause a lot of damage to pine trees and cedars because they feed on the needles. They will also feed on Larch. 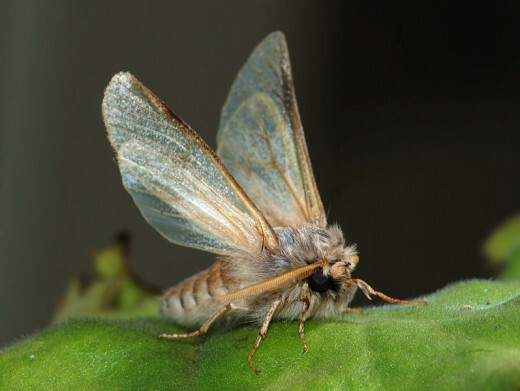 The Pine Processionary moth has cream fore-wings with brown markings and white hind wings. 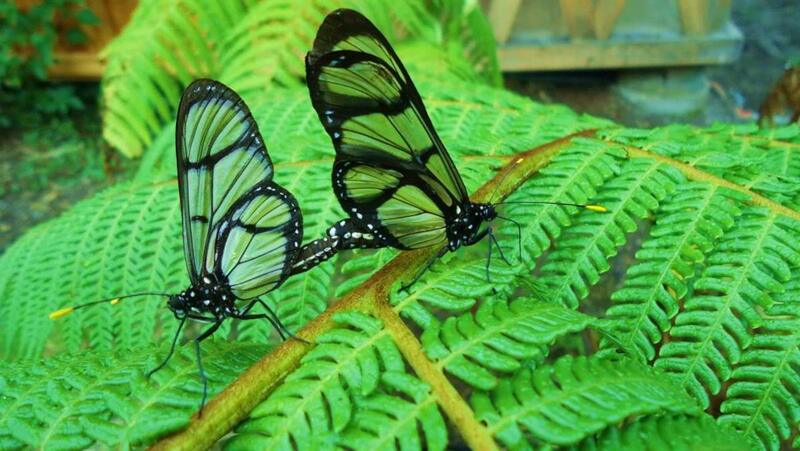 It can be seen on the wing between May and July and the females are bigger than the males. Not yet but I would like to. Pine Processionary caterpillars spin quite large tent-like nests is the trees they infest and feed on and they spend the winter months in these structures. Often it is possible to see several of these nests in the same trees. 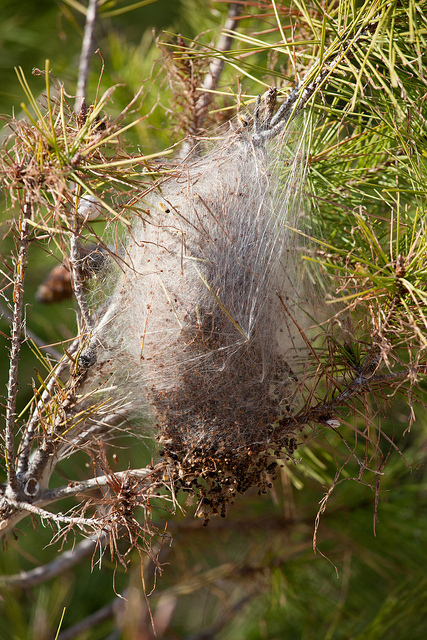 The nests or tents can be as large as a pineapple or even bigger and are messy looking structures because they accumulate a lot of caterpillar frass at the base. The nests are spun of silk and the caterpillars force their way in and out of the structures which they shelter in. When smaller the caterpillars, which are very social creatures, spin flimsier nests around the pine needles but in their later stages they make stronger permanent homes out of the nests they build. They leave them at night to go and feed and return at dawn to spend the days undercover. 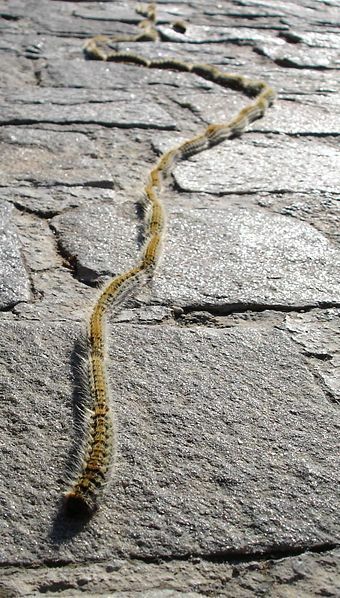 The caterpillars are active through the cold nights of winter and continue feeding after dark. They leave these tents for good, usually in March, and descend to the ground in order to find a place to pupate. The caterpillars move in conspicuous nose-to-tail processions, which gives the moth its name. 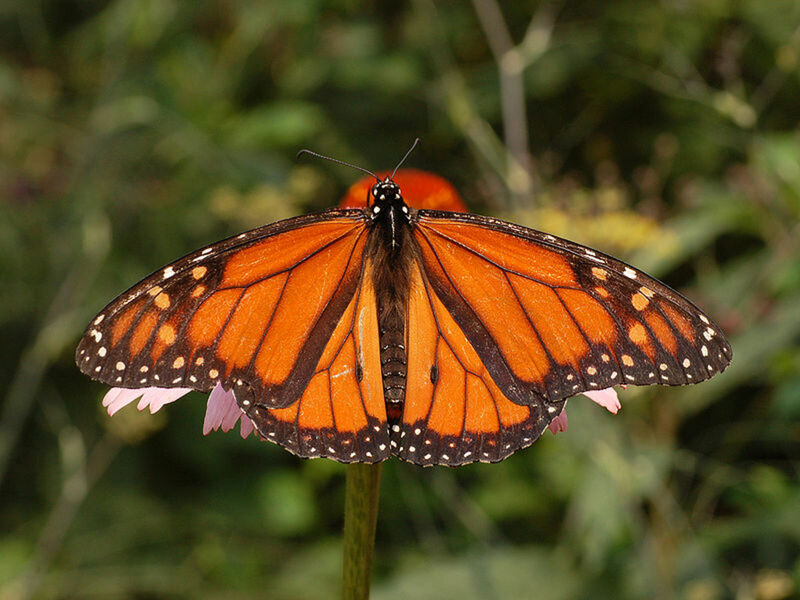 They do this because they respond to the stimulus of hairs on the tail of the caterpillar in front and are also thought to follow a scent trail of pheromones. Entomologist Jean Henri Fabre studied the Pine Processionary caterpillars and published the results in The Life of the Caterpillar in 1916. He found out that their instinct to follow was so strong that the caterpillars placed in a circle going nose-to-tail would continue going round and round despite there being food just outside the circle. They pupate singly just under the ground in silken cocoons. They like soft and sandy soil to make their cocoons in. The pupae are at first a yellowish-brown but become a darker red-brown. 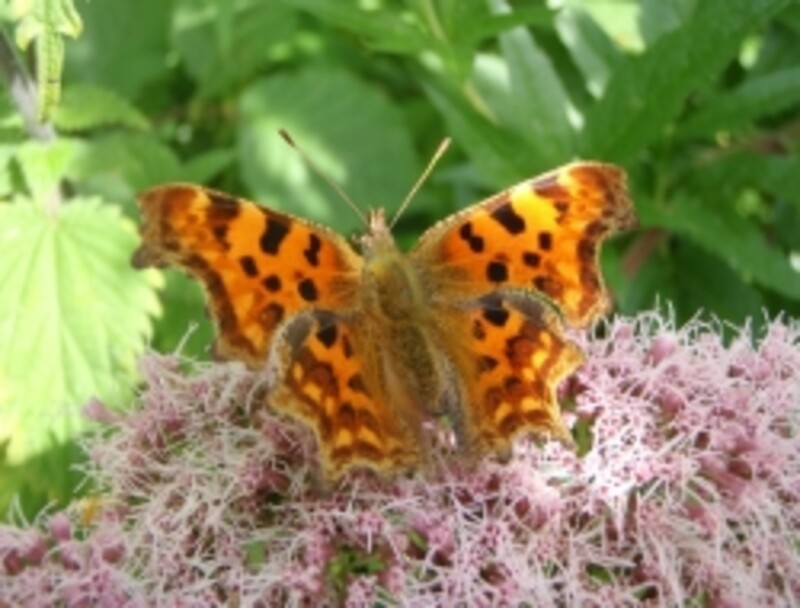 In warm springs many caterpillars pupate successfully and a large number of moths will hatch in the summer.